Some banners can already be create by graphic designers: Crystabell, Windermeer, Jen-Lai (as on the screen but on white instead of purple), Min-Cho (resume the proposed screen for Zora to Min-Cho). [Remigra] I'll be happy to create the icons of the banner when they are known. I have the graphic Forge forum uploaded something to look for already, as an example: http://app.ryzom.com/app_forum/index.php?page=topic/view/22777/12#12. The arms are ansich like, the background was added only for better visual representation. I Belase everything always einzelsekmenten in several stores and step, so you can edit quickly, or change. The symbols themselves are individually, the background was ^^ added only for better visual representation. I belasee everything always in several individual steps and step storages, so that you can edit quickly, or change. [Remigra] A question which will be used for banner in Matis as a 3D element? I want to know if a new 3D object is created Banne for the city, or whether the national flags are used? If the existing countries are used banner stands, the realization is possible faster. I mean the 4 nationwide stand banner, which can be seen on the Forge page! 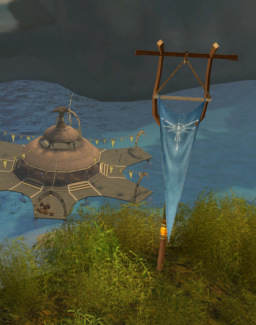 (http://forge.ryzom.com/wiki/Projet_Graphique - look for "banner"). 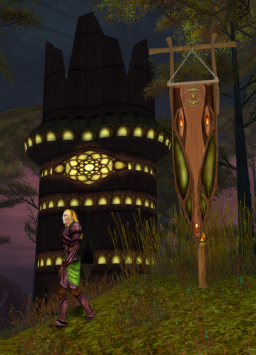 [Wiedii] Initially, there were supposed to "be banners" (without flags) for the guilds, with their symbol... they have even been modelised. You probably have already seen them: they're used as "staffs" by the CSRs... I'd like, for me, for these banners to be used for their initial role... But it will be up to Winchgate. For example, here is the Tryker banner: https://lut.im/9lp85EY4/qMcDeqCb. The fyros one : https://lut.im/JRwF2YJ8/wRDpHjg0. Good news: Tamarea received an application e-mail from a translator to Russian (to which she still haven't answered yet because she was sick). Most important translations should be again be done in russian! We're still looking for translators / correctors to English (3 FR => EN), to German (2), to Spanish (2), to Russian (2) and to French (2). Naema was insterested in proofreading (EN) last week. But Lyne doesn't know if it was only on Wiki or on Ryzom also. 2- Moving the documents from the Kaghanat wiki to the one of RF: what do we do? [Zatalyz] I hope we can discuss it a bit here. As Zendae mentionned it to me, writing twice the articles would also require to pass on the changes on both sides. It will be a lot of work to create, then to maintain. I belive the most "economical" way (to to spare the volunteers) would be to mage pages with a link to the other wiki. For example, a page on "creating a mission" on the RF wiki, which lists all the pages allowing to do that on the Khaganat wiki (with keywords to find the page). [Osquallo] There's nothing preventing someone to migrate everything on RF if one has the time one day. But I'd be in favour of creating the next ones on RF side. It's more directly related to this side. : If there is the opportunity of course. [Zatalyz] Osquallo: on the question "on which wiki it will be", it will depend on who's writing the documentation... I prefer for the documentation to be done, without constraining on one system or the other, due to the syntax differences. [Tamarea] How to manage the translations? [Zatalyz] There's everything needed to translate on Khaganat. There's already EN/FR, other langages can be added easily if we have translators (It will take me 30 minutes, time to find back the right option ^^). Zatalyz: And it's a wiki, so everyone can correct :) (you just need to register, because of bots... sorry). For example, on a page such as this one https://khaganat.net/wikhan/en:primitivemissiondocdestroy_item: at the top right corner of the page, there's something to change the language, and move to the FR version of the article (this one is translated :p ) : *a drop-down menu. [Zorroargh] As for the translations, we have too few resources. I believe we should give priority to English for the technical documentations: developers are already used to english jargon. And save the other translations to what is "history": lore, events, etc. [Remigra] A beautiful site, not very helpful but unfortunately for me, as I'll probably not really understand it myself in German ^^ I think if I would understand, I would much further ^^ but I meant as the previous speaker, that they must be in English, after all, this is the most understood language. so before Ranging. [Lyne] I don't fully agree that the technical documentation shouldn't be translated in other languages thant EN. First, there are people not fluent enough in English, but who could help, even without being developers themselves. Second, as a translator, I sometime appreciate translating technical things: it's often simpler than convoluted chronicles. [Zorroargh] I wanted to precise that I didn't say that it was not to be translated. I'm a lot more at ease and efficient in FR than in EN. But if we're low on people, we'll have to give priority to the translations effort where the players understand less (stories), and give priority to English for technical documentations. I don't wish it but it's a technical analysis: there are too few of us. [Remigra] Now we see it that way, Latin is the language of mediziener, and english is actually the language of the devs, if I'm not mistaken (world ^^) certainly I would wish the translation of technical things, I also spoke to others, but as already mentioned, we have a few recorcen and have in this regard unfortunately make concessions: / We are no longer limited to devs from a country, which is why it is the Common Language is to use I think. and this is in dev beings after all the English I mean. [Osquallo] : The Khanat > RF link is less problematic. Peoples from Khanat know they'll come on RF, but the topic is Ryzom and these pages are useful to all the ones approaching Ryzom. So that's were it should mainly be findable. [Lyne] I come back to the first question: writing the pages twice, or giving a link. I think the link is a more efficient solution. Whatever its direction (Kh -> RF or RF -> Kh). But I see one advantage at writing the pages twice. Not doing it systematically, but giving the opportunity. There are people who come on this channel or the forum syaing "I don't know anything but I want to help". Let's propose to them to migrate these pages: the list is known. It will allow them to discover the wiki syntax. And then they can move to the chronicles. Or the code... It's making them enter in the RF world. 1-Move everything from the Khaganat wiki to the RF one. 2-Let the already written documents on Khaganat and just add the links on RF + continue writing these documents on Khaganat. 3-Let the already written documents on RF + write the next ones on RF (with a link to Khaganat). I agree with Osquallo in the idea that all documents regarding Ryzom sholud be first written on RF wiki, which is the central wiki of this free project (as much as its equivalent on Ryzom Core side). [Lyne] Et 4 - Laisser les documents déjà écrits + écrire les prochains où on veut (selon celui qui les écrit) mais en pensant à mettre un lien de l'autre côté. [Zorroargh] I just wanted to draw attention on the fact that double maintenance would also require resources. I'm a lot more in favour of having only one version wherever it is. That's all. (Even if I'm sharing Zatalyz point of view regarding the perfect clones). [Tamarea] Zorroargh: any preference on where to put this version? [Zorroargh] RF from my point of view. The FR Lore wiki is going fine, but it's the only one: without administrators and contributors, the DE, EN, ES and RU wikis will die. And havint only one FR wiki is not to be wished for a multilingual community. It is urgent for volunteers to make themselves known! [Tamarea] The Dev is working thoroughly to develop the Ark missing modules, to allow the Arkitects to script the rites written by the Level Design. It was quite long to start the engine because of the Ark modules which had to be created by the dev, but once strated, it should run quite fast. Zatalyz has started a subject on the forum, to see if people would be interested in the backstages of the game (interviews), but it didn't get any answer: http://app.ryzom.com/app_forum/index.php?page=topic/view/22830/155345#155345. - To hep with the communication, there is the forum (http://app.ryzom.com/app_forum/index.php?page=forum/view/3918 ), with some good ideas, and Ryzo Forge's IRC channel. - Don't hesitate to ask the teams about the content which could be published on the official website: Artworks, 3D or 2D WIP, main additions of the Lore to the wiki, big incoming events... We'd need for the official site and the Facebook page to have regular content. Communciation is quite a huge field. Actually, the people who take time to welcome newomers on Silan, the ones who speak on the generic MMORPG forums, etc, are acting as communicators, be them aware of it or not. Or by taking time to see how the teams are working, motivating the ones who're there to work. There are in every linguistic community some "exchanges helpers", but few of them want an official role. Nonetheless, they're doing much without appearing to. - The topics about the two previous tribes are done (but not officially validated yet), the work about the tribe of the Hamazans of the Deed is at the last step of writing, and the next tribes on the shelf are: Shadow Runners and Ecowarriors. - The graphic team is finishing, for the Lore team, a validation stamp which will ornate the wiki articles validated by the members of the Lore validation. It's a WIP, but it should look a bit like this: https://lut.im/mLiTCOIe/2lFrEHdk (it's forbidden to use it without the authorisation of said validators, who should be 4, under NDA). - On the NDA side, there are three members working on the "primary" Lore in oder to settle the Lore more precisely, and give it the foundations it deserves. This in close relationships with the small part of original authors of the Lore, in order to keep (and sometime come back to) the original spirit of the Lore (said "monkial", for the initiates). - The NDA team working on the "primary" and the RF Lore volunteers are then both taking the Lore by an end, to recreate a complete lorian corpus, and meet in the middle, the whole of it under the leadership and validation of the 4 validators (the ones with the stamp). [Tiximei] No special requests from the support team. We are really happy to watch the activity in the ryzom forge project and cheer on you all. The support team is not so much about instigating changes, but to take care of the player with the ever changing world of Atys. What the support team really needs is to be made aware of changes and events going on at any given time. [Wiedii] The ARK team would like for an English translation of the rites to be done BEFORE the Level Design gives them. So with the risk that you may sometimes have to adjust the dialogs later, so work again on the translation. Does it bother you or do you prefer to have everything at the end, once it's stabilised? [Drumel] I'd prefer to have the things bit by bit. [Lyne] Same as Drumel: I'd prefer to do it gradually, even if I've got to redo it sometimes, rather than having to do everything at the same time. It may mean more works in the end, but it's easier to include it in my schedule. - Please wait for the Lore articles on the public wiki to have the validation stamps, since even if they are published on the wiki, they can still change. A new Atys chronicle has just been published on the forum (marauder wedding) and it is in the process of being publicated on the Lore wiki (in English, German, Spanish and French). In a while the beginning of a matis chronical in several parts will be published. A "Chronicles" sub-forum will also be created in the "roleplay" forum to avoid losing chronicles in the mass of the RP posts. Vaiatua have found the event balanced and dynamic. The attack by the Shadow Runners was an interesting surprise element. The members of the convoy haven't crossed swords with the Antekamis unfortunately... As for the Gibads it was pleasing to learn their language little by little! Vaiatua appreciated that the previous event, where they had fought wild gibbaïs, had an impact on the behavious on the Gibad leader also. The last positivie point is the type of convoy event with a packer mektoub who sometime just is pig-headed, by going to the pond to have a drink for example! And the fact that we had to ask for hay to food it when we stopped at the Hamazans. For the Antekamis, the explanation of the fact they weren't there anymore will come in a few days. Time for Zatalyz to write what happened to them. Zorroargh is working mostly on the french wiki http://fr.wiki.ryzom.com/wiki/ : Reorganizing the portals, the categories.... it takes long. Zendae and Vaiatua are working at integrating little by little the migrated documents, for examples the chronicles. Zendae's contribution to the Lore team centres on introducing the tribes in French: after the Corsairs and Slavers, The Masters of the Goo have their presentation. Coming soon: Hamazans of the Dead Seed and Ecowarriors. [PtitBill] On the Level-Design topic, not much new, we're waiting for the Ark Team for the first rites. We have to organise ourselves in oder to meet on another day than Mondays. As I mentionned on the forum, I'm looking for volunteers to help writing missions. The Zoraï rite is progressing, but slowlier than expected. Ark is also interfering. The missions workflow is being proofread. [Skeepy] I am checking datas and I have found a whole bunch of weapons tribe craft plans ready to use, they even are translated. They are mainly grade 3 plans of nations with specific bonuses. There is around 50 plans ready to use (to check exactly but I picked some up and they were alright). And a pinch more to check moreover, as they are not translated I presume they are not finished, but it has to be checked. I gave the list to Tamarea, I think she will forward it to people in charge. [Virg] Could marauders get a new sheild skin or could the tribe get a new one? [YannK] It means creating a new texture but also, and especially, a new object .sitem, and hence modifying everywhere in the code to distinguish the calls between the tribe shield and the marauder shield, so it's not as simple as that, and will require some time. It means also creating a new craft stanza, by the way, and so define its addressing. Adding an object which cannot be crafted by the homins is never trivial. [Goki] such a thing is possible, but may need new code, things like vedice weapons have special code for it. [Skeepy] There should need new .sbricks of course, but perhaps no new c++ development, I don't know. It could be only new skills, not new feature, if you see what I mean. 1) https://bitbucket.org/maadi/packer. This is a template for building a minimal image of the Jessie. I uploaded an image of the virtual machine créated with this script to: https://atlas.hashicorp.com/madi/boxes/jessie-amd64. Note : you can gnerate a virtualbox or kvm virtual machine with this script. 2) https://bitbucket.org/maadi/vagrant: This second repository hold a vagrant script to initialise et execute a virtual machine. The repository contain also an ansible script. This script automates the provisionning of a ryzomcore server. I.e: configure the packages, download the sources from bitbucket, compile the ryzom server, etc... The ansible playbook, can be used to provision a virtual machine for local test but can also used to configure a real server or a VPS. This will be used as deposit for the dev, then will be integrated in the official ryzomcore deposit. For now, I've uploaded the binary packets (jessie/wheezy, i386/amd64) for libwww and squish (dependancies of ryzomcore): https://dl.bintray.com/ryzomforge/ryzomforge. You can of course register to join this deposit and help completing it. Classical but good. To note that the new appartment's eggs are not showns by Mas users. this patchlet problem should be fixed soon. Goki will publish in the forum the file to add in "user", waiting for the fix. So the eggs will be visible. The Lore group is reorganising quietly to become more efficient. Regarding the part currently open to RyzomForge, the current work is on the Tribes. The RF Lore group uses the whole known Lore at today (Public, private, event, lore from Nevrax) to make wiki articles as complete as possible on each tribe, sometimes enriching their background. Currently, the pages for the Corsars and Slavers are under finalisation (before, this was done internally by the Lore team) and the Hamazan tribe is being written. Once all this validated, these pages will be given to the Translation Team and published on the wiki (you can already see some of this on page of the Corsairs of Aeden Aqueous on the FR wiki). Wiedii insists on the fact that the work done by RF is the most comple possible, using all resources available at this day from the Nevrax Lore, open to the volunteers of the Lore RF team. Beside this, other "layers" of the Lore are also under work, especially the Marauders and other elements constituent of the Saga by the Lore team under NDA. 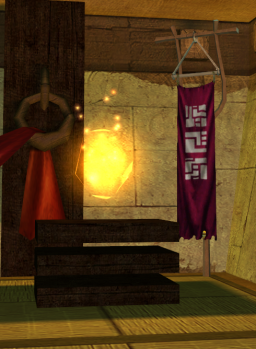 Zorroargh is working on the lay up of various portals (lore, each people...). The RF Support (Linux and Mac) becomes more and more known (and appreciated) by the players. Its help is important and appreciated, and Tamarea takes advantage of today to thank all the ones who help in this group. <PtitBill>: je suis toujours sur la phase d'écriture du rite Zoraï géo 50. J'ai la possibilité de me passer de l'ark pour tester l'évolution de ce que je prépare. Je suis surtout en chasse aux bonnes volontés qui viendraient nous aider a concevoir de nouvelles missions. <Lyne> *PtitBill: I'm still writing the Zoraï 50 geography rite. I can do without the Ark to test the change I want to prepare. I'm especially looking for good wills who'd come help me to design new missions. - The translation of the text about viral marketing is over: http://app.ryzom.com/app_forum/index.php?page=topic/view/22471/7 (thanks to Phileur). A list of list of mmorpg web sites has been added to this thread. It would help any volunteers who want to raise Ryzom publicity in mmorpg forums. Please add more websites to this list if you know some more mmorpg web sites. - Nuzanshi continued posting some Ryzom references, mostly on www.reddit.com/r/mmorpg and one on mmorpg.com. - Player Sygmus plans a Youtube channel about Ryzom. Once his channel is up, he will post a links on Ryzom forum and other mmorpg forums. - Another Ryzom youtuber: Kyrosshouk, youtube name is MineKynoMine: https://www.youtube.com/watch?v=ne-kqSYE7oE. - Another video maker: Misugi (but not on Youtube and not in live). - There also was a Bulac who was streaming Ryzom. - Nuzanshi will search youtube and vimeo for Ryzom videos till next meeting and maybe some can be linked in Ryzom forum as beginner tutorials. But (s)he will need help with french Ryzom videos and languages other than DE and EN. "I've come on Ryzom (and I know I'm not the only one) because I'm involved in the world of free software in general, and Linux especially, so I've been attracted by the release of its code. I'm writing quite a lot on specialised sites, and sometime also on jeuxlibres.net (the games under free licence, independently from their OS) and jeuxlinux.fr (game on Linux, independantly from their licence) and other diverse sites, more or less related. So I believe there is a way of attracting people who are not fundamentally gamers, but who want to try Ryzom because they agree with its general philosophy. One of the topics which would really nead communication, on quite technical sites, it's ARCC (Ark). Moreover since the release of the artworks, and the Ryzom Forge team, it's something especially exciting for developers, fiddlers, and hackers. I know that ARCC isn'n free, but it may nonetheless strongly interest and attract new peoples, at least it is worth a try." Here, I haven't much more to add for now, since I've just joined the team, but as an exemple, here is the kind of articles I've already done (in French only, sorry, http://linuxfr.org/news/ryzom-un-nouveau-depart )." Animators recruitment is open! We are looking especially for an animator who's not playing tryker and interested in taking care, eventually, of the tryker events. Generally speaking, we're looking to extend the animation team in order to offer more regular and varied events, and also to have animators in the american and australian timezone. - Deed joins the team. - The next chronicle will be about a marauder wedding. It hasn't been published yet and is currently being translated. "A multi-lingual wiki such as the one of Ryzom Forge would have allowed to move easily from one page to its equivalent in another language. Why this solution hasn't been chosen? Can it still be envisionned?" It's almost impossible. Ryzom Forge was thought throught as multinilingual from the start, so there's no problem there. On the other hand, the Ryzom Wiki has ben developed, if I'm not mistaken, first in German then in English. The French wiki came afterwards on a different basis and with a strong independence to the English-German Ryzom Wiki. In addition, even the stories differ. Hence the conclusion: To do like Wikipedia, mention that the translation is available, without anything else. "And why not creating a new wiki, like the RF one, which would be multilingual for the past-merge version of the Lore, since now we have the same one?" It's a possibility. I see an intermediary way. I'd prefer to think about it before saying something wrong or giving false hopes. -Welcome to Takiito, our new translator EN <=>DE! - Recruitment for translators is open! We're looking for translators and correctors to English, Spanish, French and Russion. (We currently have no russian translator, so we cannot provide update for the ingame text in this language anymore). Any help will be welcome, since there is a lot to translate and to correct for this small group (official announcements, event announcements, RP texts, new missions texts, chronicles, etc). If you're interested, please send mail to tamarea@ryzom.com. - http://forge.ryzom.com/wiki/How_to_Zanata.org has been translated in English: http://forge.ryzom.com/wiki/How_to_Zanata.org_EN (but need check). - Drumel is thinking about a way to efficiently report the errors in the ingame text. - Recruitment for CSR is open!